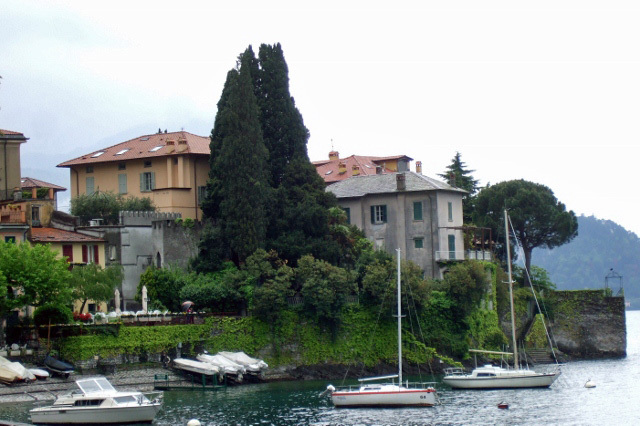 Perched high above Lake Como is the quiet and atmospheric small town of Varenna. Because of its beauty, tranquility and train accessibility, I made this lakeside village my travel destination in northern Italy. 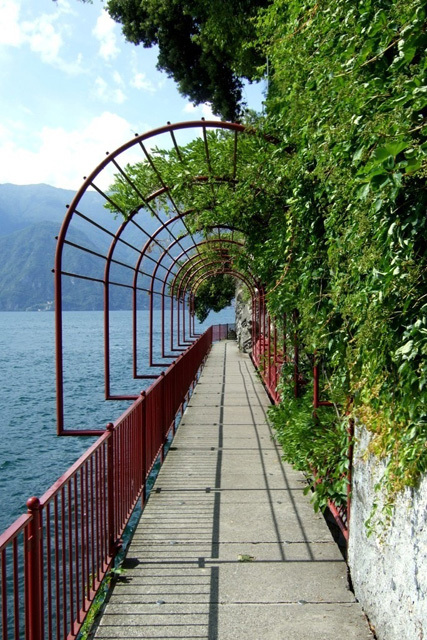 Surrounded by mountains, Varenna’s steep walkways meet at the lakeshore, near the midpoint of the lake, making Varenna a convenient location for exploring other lakeside towns like Bellagio or Menaggio by ferry. Varenna is one of the most beautiful places I have ever seen. Its location on Lake Como makes it a photographer’s dream, with the mountains, the water and those charming narrow steep walkways called contradas. 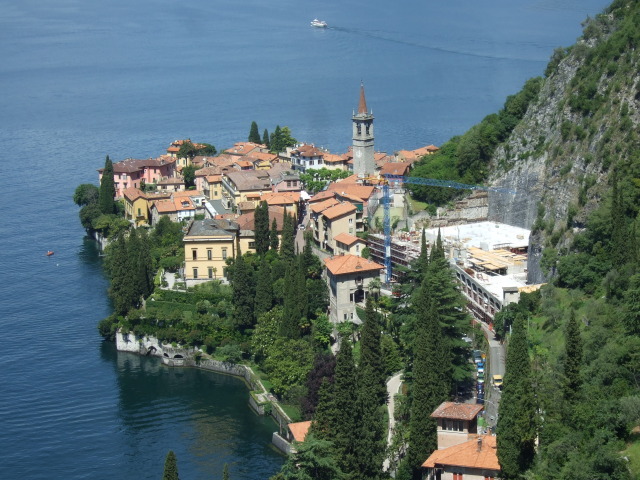 Viewed from one of the ferry boats, Varenna looks like a postcard, with colorful tiled-roof homes, situated at different locations on the hillside all the way down to the lakeshore. 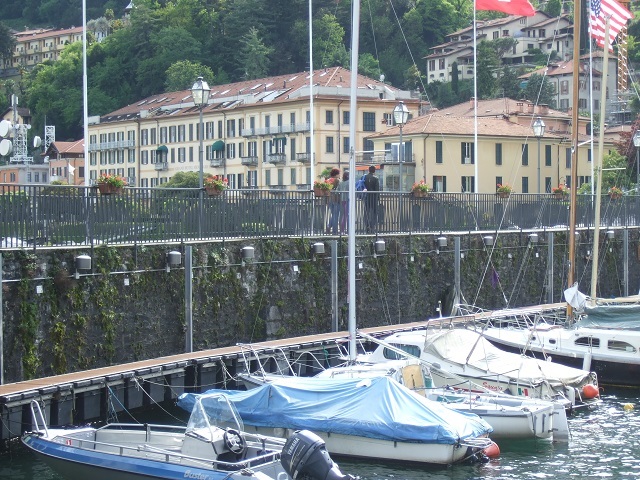 Along the lakeside is the lunga passeggiata or passarella, which is a long walkway similar to a boardwalk. Sitting just above the water, this pedestrian corridor is a perfect spot to enjoy a leisurely stroll during the daytime or at night, where the atmosphere takes on a romantic tone. To sit at a restaurant along the lake, or on a terrace of a hotel overlooking the lake, is an experience in tranquility. 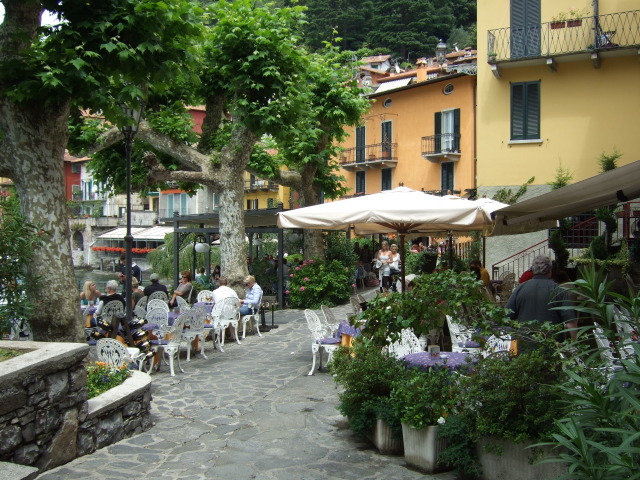 Without many people here, either locals or tourists, Varenna is quiet and serene, especially at night. I find it a wonderful place to relax and unwind, and the lake is mesmerizing. 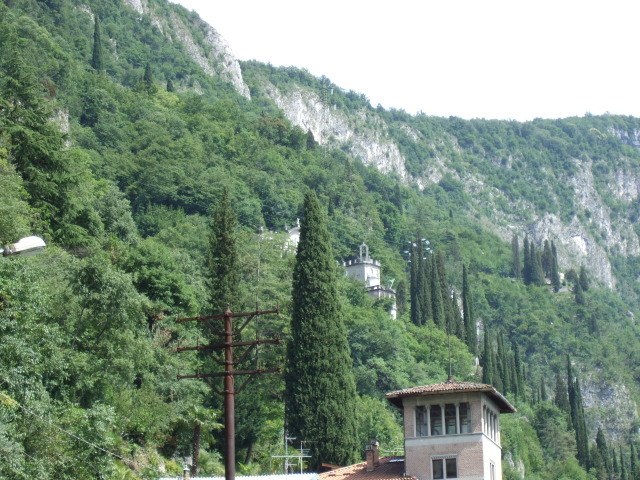 Varenna is easily accessed by trains, most of which depart from Milan every hour or two. 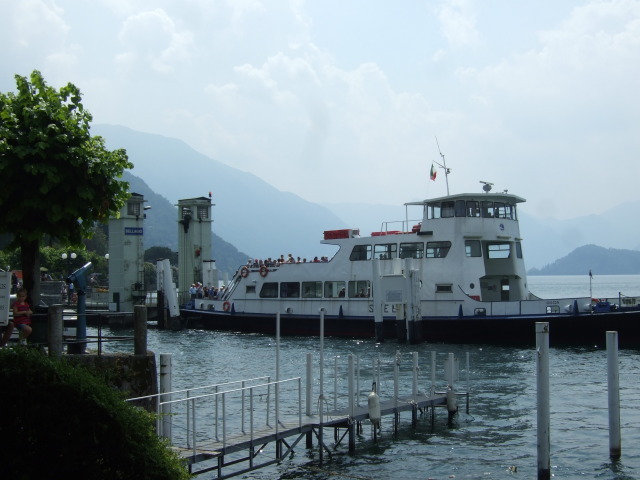 From Varenna there is a ferry service which runs up, down and across the lake, providing for easy transport to explore the larger, more commercialized town of Bellagio. 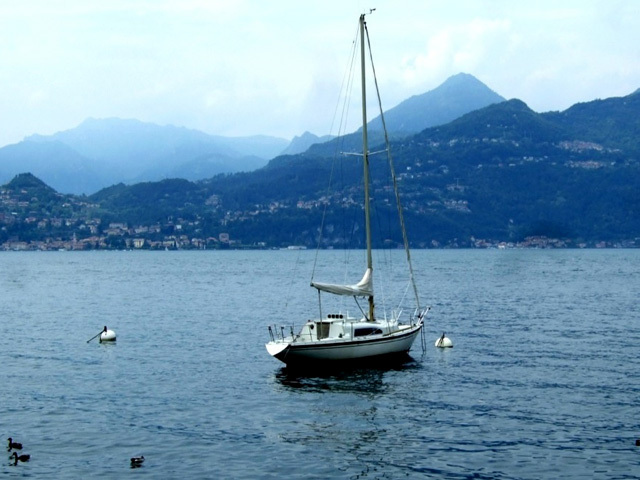 You can also stop at the smaller towns of Menaggio and Cernobbio, as well as take the longer ride to either Como or Lecco. 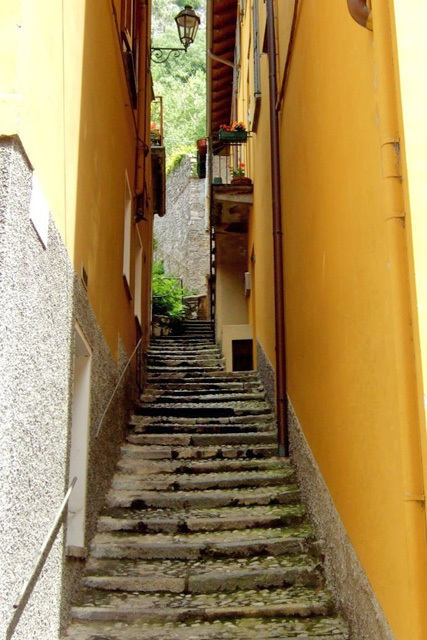 Varenna is small enough that you can walk almost anywhere within the town within five or ten minutes. A castle that is well worth exploring sits high above the town. The ancient villas with beautiful gardens are also gorgeous. 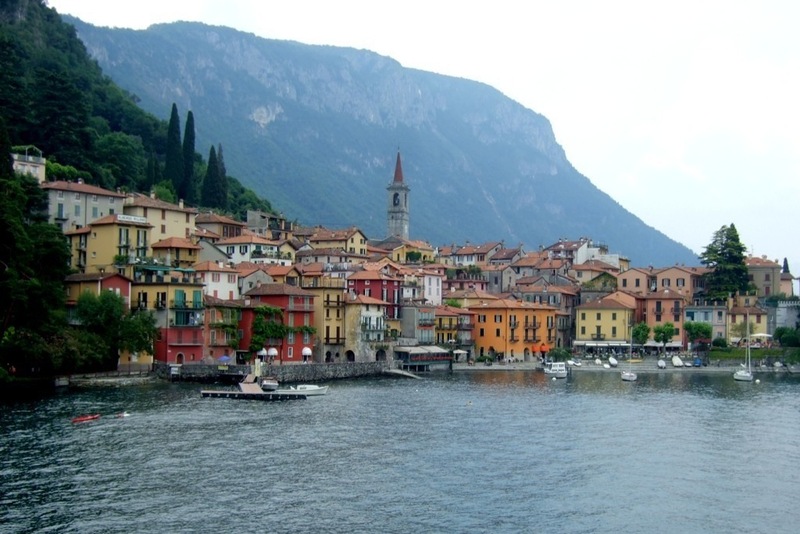 If your travels take you to northern Italy you will not want to miss the hidden gem on Lake Como known as Varenna. Margie is an American writer with a passion for Italy. She writes the blog, margieinitaly. Follow her on Twitter, FaceBook , Instagram, and Pinterest. She is the author of the award-winning book, Memoirs of a Solo Traveler – My Love Affair with Italy and also My Love Affair with Sicily and the recently released Colors of Naples and the Amalfi Coast. 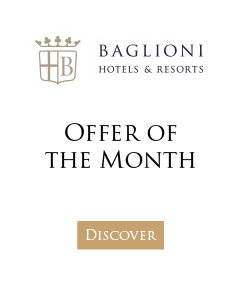 Concierge tip: The Baglioni Hotel Carlton in Milan is well-situated in the heart of the city’s famous fashion district and a convenient base for a day trip to the Lake Como region. The hotel currently has a special Breakfast 4 You menu developed with the University of Gastronomic Sciences in Pollenzo to mark Expo 2015 in Milan and celebrate the pleasures of Slow Food and wellbeing.